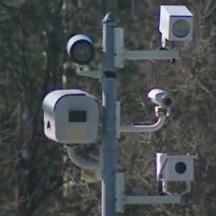 A Maryland state senate committee hearing was held on three speed camera bills on Wednesday February 20th. The bills were prompted by admissions from Baltimore City and Xerox Corp that their speed camera program had systematically issued erroneous citations to hundreds of innocent motorists. Representatives from speed camera programs as well as camera company lobbyists were sent to oppose reform of the state's speed camera law designed to protect the innocent. The bills heard included a credible reform bill, SB 207, presented by Senator Brochin, whose two key provisions include requiring citations to provide sufficient information to verify speed from photos (ie 'secondary evidence of speed'), and to ban 'contingent fee' contracts (ie per ticket bounties) --- a type of contract which even Governor O'Malley has said violates the intent of the current law but which the majority of local speed camera programs (including Baltimore City and Montgomery County) are engaged in nevertheless. Representatives were sent by Montgomery County, Prince George's County, Forest Heights, and from speed camera contractor Xerox Corp to oppose these reasonable changes. In addition, camera programs sent representatives to support a bill sponsored by committee members Jamie Raskin and Jennie Forehand which would remove the requirement that speed camera citations be reviewed by police(SB389). And Senator Pipkin presented a bill to repeal speed cameras all together (SB785). Facing the professional lobbyists and public employees paid with our tax dollars to be there were private citizens and activists. Stop Big Brother Maryland -- which is now part of the Maryland Drivers Alliance -- testified in favor of Brochin's legislation and to support the speed camera repeal bill. Written testimony was provided documenting that the city of Baltimore and Xerox Corporation were aware of errors by their speed camera program for many months prior to the Baltimore Sun making the matter public, but that Xerox chose to keep the cameras online issuing erroneous tickets. We pointed out that the use of image to verify speed was a standard laid out in NHTSA guidelines for testing speed camera radars, specifically stating that two timestamped images could, and should, be used to verify speed. And we also documented the legislative history regarding the ban on contingent fee contracts, showing that the fiscal policy notes clearly intended that this should have been banned by the wording of state law, as well as quotes by state lawmakers and Montgomery County officials documenting that the ban on contingent fees was a promise to the public that has been broken. In response to the weakening of citation review requirements in SB 389, we called for an investigation into the alleged forgery of police officers signatures on tickets the officer never reviewed or approved by Optotraffic and Riverdale Park's speed camera program. In addition, an expert witness who was a professor at UMD argued that all speed cameras were capable of error, and that the best way to verify speed after the fact is with secondary evidence in the form of accurate timestamped images with lines on the road to assist the analysis. Another expert witness was a professional with decades of work with radar who argued for more stringent standards for secondary evidence and the testing of radar. One motorist testified that when she tried to contest the speed on a citation, she could not do so because the timestamps showed 'zero time' elapsed between frames because timestamps had been rounded down to the second. She stated that when she asked in court about the technology used to issue the ticket, the government's witness responded that it was lidar and that it relied on the 'doppler effect'. However she later learned that this statement made in court was incorrect since lidar does not use the doppler effect to measure speed. SHA told Whistleblower "Not To Analyze or Test"
"As a practicing traffic engineer, I am not a fan of speed cameras. The reason is because of what I saw transpire from its infancy. This program was initiated in a fraudulent manner. Things went on with procurement, testing"..."It ultimately led to my dismissal after 37 years, because I pointed out that we were not complying with procurement laws."... "The speed camera program in this state was born out of fraud, misconduct, and despite efforts by myself to alert officials, both prosecutor and law enforcement, nothing has been done to either address my concerns or the office of legislative audits." "My office was instructed, and I was a supervisor, I was instructed 'not to review not to analyze or test the products from the ACS company'. In other words, to give them the job." Senator Forehand asked him "So in the future we could do better?" Simmers responded "If a house burns down because of arson, and it's rebuilt, you don't forget the arson because it was rebuilt. We have never ever investigated that fraud. That's what I'm saying." Standing against these voices were representatives from the speed camera programs in Montgomery County and Prince George's County and the Maryland Association of Counties... paid for with your tax dollars.... as well as a panel of highly paid and well connected lobbyists paid by Xerox Corp.
Captain Tom Didone, who runs Montgomery County's speed camera program, argued that if 'laymen' were to "misuse" secondary evidence from images the courts could be "swamped" by people contesting tickets. Didone had stated to the editor of this website outside of the hearing room prior to the session that there was no NHTSA standard for secondary evidence with speed cameras, but then stated that he had never read the NHTSA standards on speed cameras. The Town of Forest Heights, whose speed camera program we have covered in extensive detail, sent both the town's Mayor and the town attorney to defend their town's camera program. The mayor related the tale of how she once struck a child with her car while driving, claiming that she was not driving fast at the time. She also informed the committed that her town's speed camera program had paid the state of Maryland hundreds of thousands of dollars. "That was your cut" stated Mayor Jacqueline Goodall (HB 785 testimony, time index 3:42:15). Forest Height's speed camera program has been accused in the past of issuing erroneous tickets, and not only argued that citation images could not be used as evidence of speed (a claim which contradicts an earlier technical document by their camera comapany Optotraffic), but had even gone to the extreme length of removing the 'delta time between images' which had been imprinted on citations down to the millisecond, after motorists had alleged errors by the cameras. The fact that Optotraffic cameras were capable of 'false speed triggers' was later proven by documents released by the Town of Cheverly. This means that if there is no 'secondary evidence of speed' even citation reviewers would have no way to distinguish between real violations and false triggers. However Forest Heights has never admitted to any erroneous tickets being issued. Representatives from the cities of Rockville and Gaithersburg and from Prince George's (all paid to be there out of taxpayer dollars) signed up to support SB389 to allow contractors or civilian employees to approve citations rather than police. Despite having publicly spoken out many times about the speed camera problems, AAA Mid Atlantic sent no representative to testify at the hearing in favor of Brochin's reform bill. When asked about this by the editor of the StopBigBrotherMD site, John Townsend of AAA responded that the reasons their representatives did not attend was due to personal matters and scheduling conflicts. "Had circumstance and our schedules been different we would have sitting at the witness table along with you" wrote Townsend. However AAA was signed up to have submitted written testimony in opposition to SB785 (speed camera repeal), and did not respond to a request by us for a copy of their written testimony. Insurance Company AAA Mid Atlantic supported statewide speed cameras in 2009. By contrast, the National Motorists Association provided written testimony in favor of HB785. "Speed camera programs in Maryland have been riddled with errors and lack of oversight." stated the NMA in their testimony. You can read the NMA's testimony here.